Horsey Stuff • Our ProgressTrotting going well! So we have been trotting for about 3 weeks now and it is going well so far. There have been no signs of the lameness reappearing and Scottie seems to be enjoying having a job again. Overall, Scottie has coped very well with his time off and hasn’t seemed to have lost much topline. He has however lost a little bit on his hind end and has returned to his default of being a banana to the left. What I mean by this is that when I first got him he was naturally crocked and always has left bend. This also causes him to swing his right hind out on 3 tracks. But we have worked through this in the past and we will get there again soon! Last week we had the back lady out to give Scottie the once over. 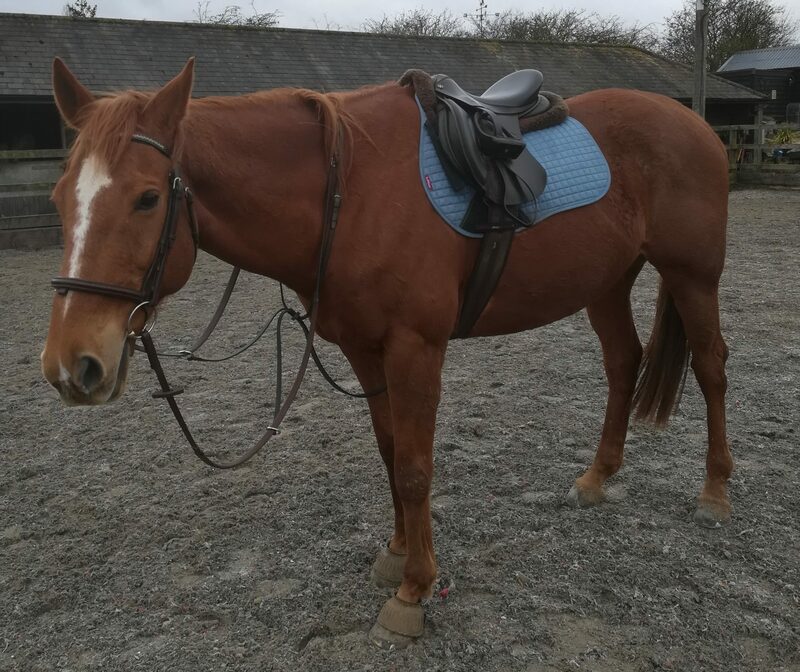 He has now had his back checked twice since he first started with this lameness and each time he has had a few minor issues in his back which have needed treating. Each time it has been worse on the left side, which is to be expected with a right side lameness. And there was also a little bit towards the back of where the saddle sits and behind this. This could be linked to his lameness but could also be due to his banana shape returning as I am sure this is where he used to get tight before straightening out. Either way, these issues were quickly resolved by our fantastic back lady and Scottie has felt very good since. I am going to arrange to have his saddle checked though. He was due to be checked a few months ago. But since he wasn’t in work and we didn’t have a diagnosis as to what the problem was, I cancelled. He is going so nicely under saddle that I don’t think there is a problem here. But it would be good to rule it out as the cause of his minor back issues. This past week Scottie has been going particularly nicely in trot on the left rein. He is really carrying himself and floating forward. He has never felt so nice to ride! However, he is still a bit crooked, which means we do occasionally lose a bit of balance and rhythm. But I am pleased with how he is going. On the right rein this crookedness is more an issue. He is a lot more unbalanced in the trot which makes him reluctant to go forward. But I am really focusing on straightness and he seems to be relaxing and finding his rhythm. So we are getting some really nice flashes. But here is a moment I am particularly proud of from last week! We should be starting cantering at the end of this week. But due to the horrible weather we have had and the fact that I am now off on holiday for a week, Scottie hasn’t quite got to the level of trotting I want before upping the work load. We are still only on 10-15 mins of trot a session, which he is coping with well. After his week off while I’m away I will pick him up again with 10 mins of trot a session. I will then build this up to at least 20 mins a session and hopefully will start cantering towards the end of April. I am probably being a bit over careful here, but I’m in no rush and don’t want to cause a new injury!